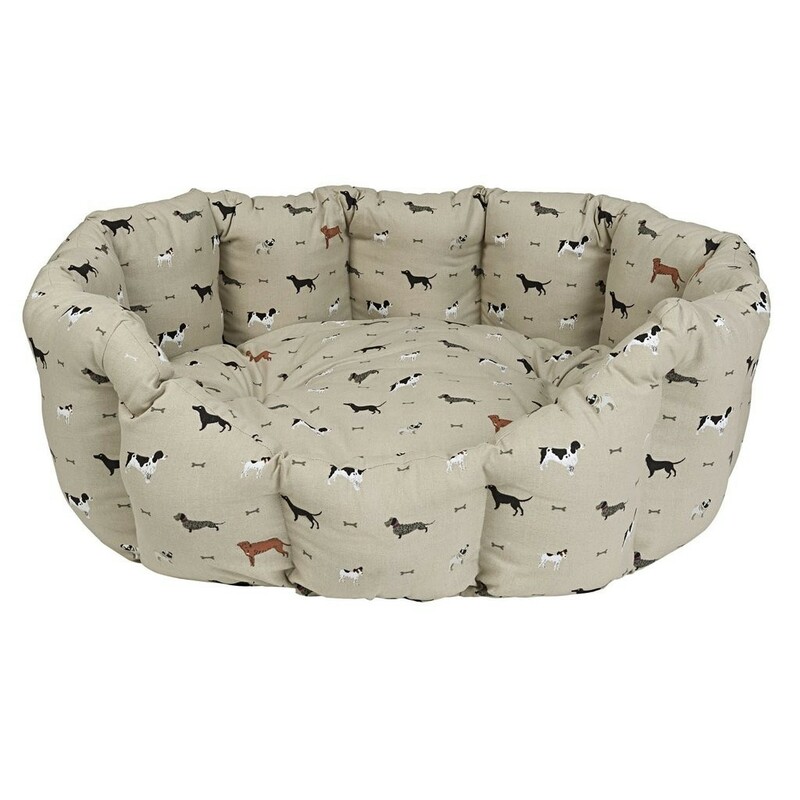 This design of Dog Bed is available in two sizes, small and medium. 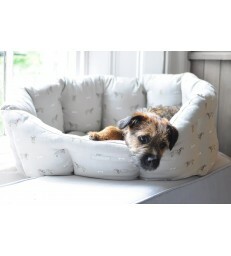 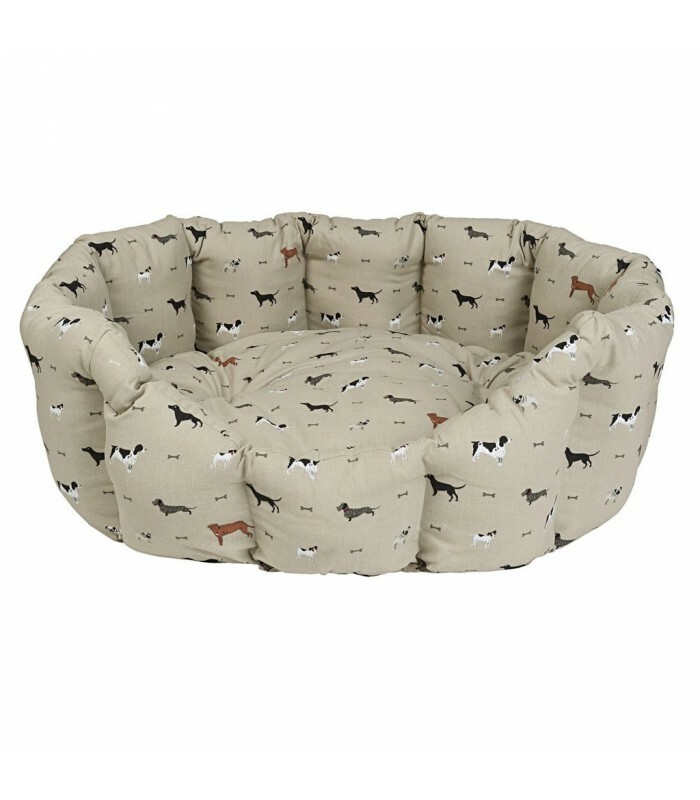 With its hardwearing cotton fabric and removable cushion base this dog bed is both practical and stylish. 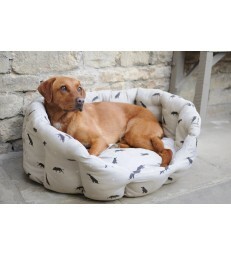 Your faithful hound will be so comfortable in their new dog bed, with its deep filled fibre shoulders and polyester padded inner. 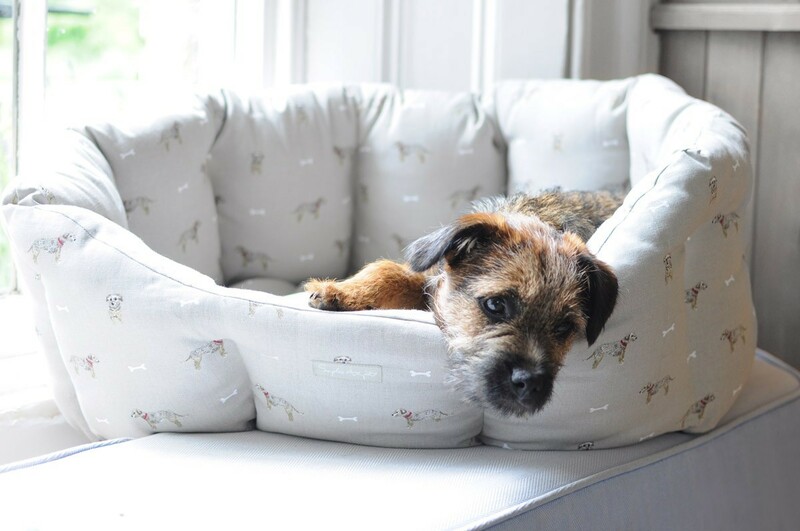 The pattern design on your bed included lovely illustrations of dachshunds, springer spaniels, pugs, jack russells and many more hounds. 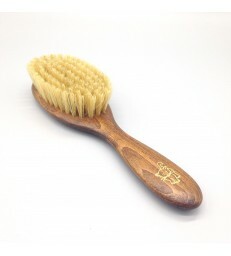 It can be machine washed at 30 degrees. 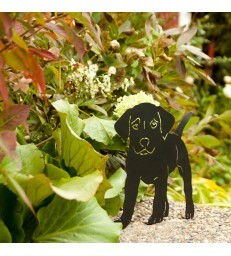 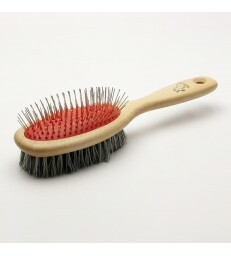 The material finish is water and stain resistant.